Looking for Affordable Deck Sealing & Weatherproofing Near Middletown, OH? On Deck Services has the appropriate deck tinting equipment to match your current deck or enhance the existing color of your home. Dan Stoddard, owner of On Deck Services, custom mixes ALL solid & semi transparent stain color. *Color Consultation and Test Areas are available and recommended. Please remember colors may be affected by porosity lighting and will generally look lighter on your deck than on color cards. PLEASE NOTE: WE CANNOT BE HELD RESPONSIBLE FOR COLORS THAT MATCH BROCHURE, BUT LOOK LIGHTER WHEN APPLIED. Unprotected wood is susceptible to natural degradation caused by seasonal weather and condensation. Rain, melting snow, and morning dew are quickly absorbed by unprotected wood, which results in the softening and swelling of the wood. The sun’s heat causes drying, which makes the wood shrink. These cycles of wet and dry, swelling and shrinking, cause wood to warp, split, crack and check- all of which lead to premature wood life and expensive repairs. 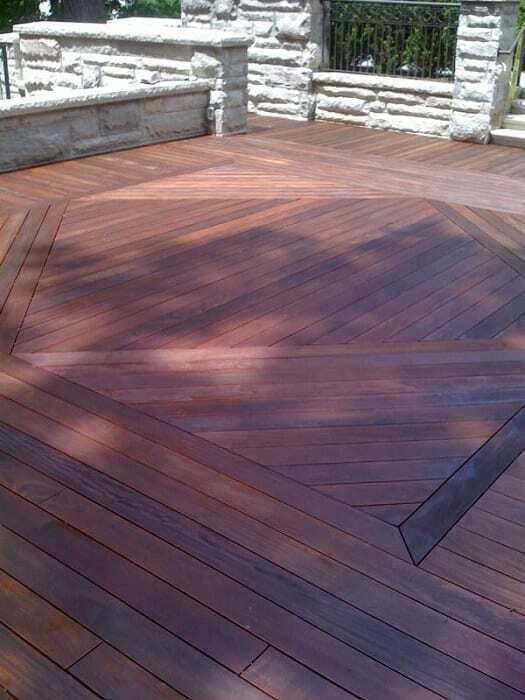 The professional deck cleaners and sealers at On Deck Service, Inc. are committed to deck cleaning, deck sealing, and deck staining services that efficiently reduce common threats to decks and wood. Not only do our services help beautify your deck, but also protect it from inclement weather, mildew and algae, decay, graying, and insect damage. If you’re interested in receiving a free quote on your next deck staining project, please Request a Free Estimate today! On Deck Service, Inc. adheres to a thorough deck sealing process to ensure our clients have attractive, resilient decks for years to come. Our deck sealing and deck cleaning services are available for Cincinnati and all surrounding communities. Please review our deck sealing process, and Request a Deck Sealing Estimate. 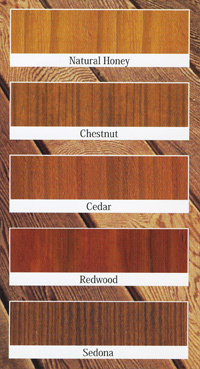 Color selection: Natural, Honey Gold, Chestnut, Cedar, Redwood and Canyon Brown. Please feel free to call us or email us for a free quote on our superior deck sealing services. On Deck Services, Inc. specializes in deck sealing & weatherproofing, patio cleaning, and more. Serving Middletown, Hamilton, Miamisburg, Mason, Lebanon, Fairfield, Trenton, Dayton, Cincinnati, and surrounding OH communities.